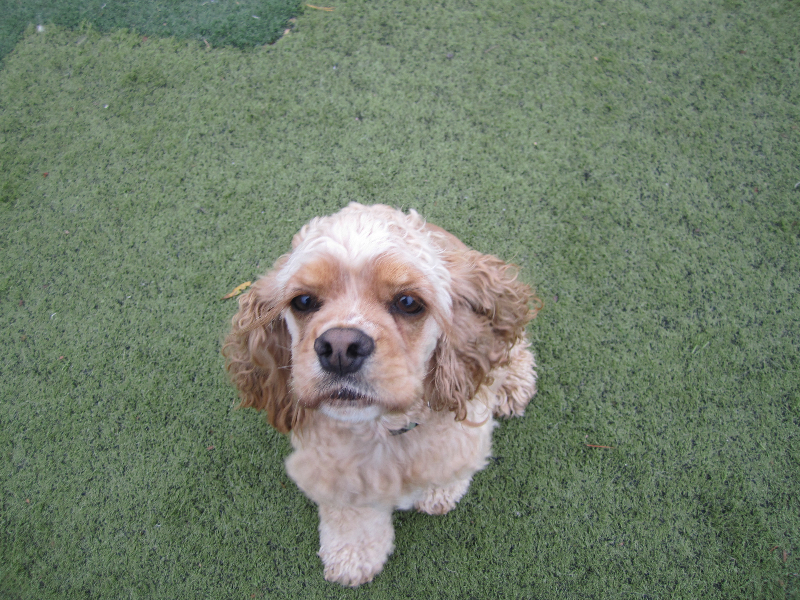 Our dog Dylan has been attending CWT several times per week for two years. Whether we are taking him to Doggie Daycare or boarding him for several days we know he couldn't be in better hands. 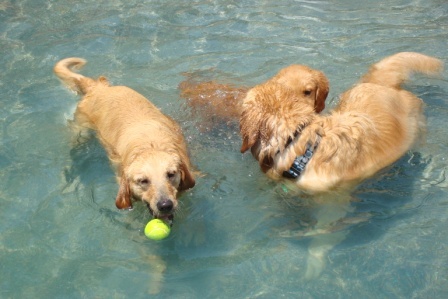 Dylan gets to interact with other dogs and release lots of energy, especially in the swimming pool!! The facilities are first rate and we cannot say enough great things about the staff – all truly caring professionals. It is a great experience for Dylan and also for us – we couldn't manage without them. Thanks for everything! When we arrive at CWT twice a week, Tinsel gets so excited, she knows what's in store for her, Fun!! CWT provides a wonderful place for Tinsel to play with other dogs and be safe. She started at CWT as a young puppy and now she's over a year old. I can honestly say that her experience at CWT has made her a happy, well-adjusted dog and a happy dog is a joy to live with. You can't say enough about the staff here, they love what they do. For me the most important thing is peace of mind knowing my dog is well taken care of while I'm at work. We have two small Shih Tzu that are so much a part of our family and truly our children (Abbi 4 and Tuxedo 14). We have been boarding them at Camp Wagging Tails since right after it opened and they always have the same staff and take such good care of them. I am willing to drive the 25 minutes just so I know that my babies are happy and being take care of like I do. Thanks Wagging Tails for all you do! Our dog Winston has been going to Camp Wagging Tails for 4 years. Winston LOVES going to daycare. We take him there knowing he is going to have a day of fun and special attention. The staff is very caring, attentive and extremely accommodating. It is comforting to know that Winston is safe and loved when he is there. 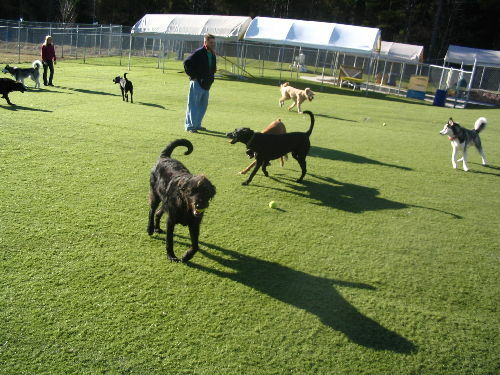 We cant imagine life without Camp Wagging Tails. My dog Caesar, a collie, has been coming to Camp Wagging Tails for four years. When I moved here from Chicago I needed a place to bring an energetic puppy who needed to be socialized and exercised. I was so grateful to the front person who agreed to let my dog try things out. This was such a miracle saver for me as I worked long hours at a new job. Four years later, Caesar is not a puppy and he still comes to camp on a regular basis. If dogs can talk Caesar asks me every morning if this is camp day. He regularly begs to come and often jumps into the car in the mornings to come to camp. I cannot even consider a different place as "the camp" is safe, clean and the dogs are well cared for. I never have to worry about him. He has made lots of friends, golden retrievers are his favorites, and he has learned to be more mellow. He worships Athena by the way, the beautiful golden who comes there. Thank you for all you do and for having the best staff around. Lisa, Linda and everyone makes your day when you walk in as they are always glad to see you. 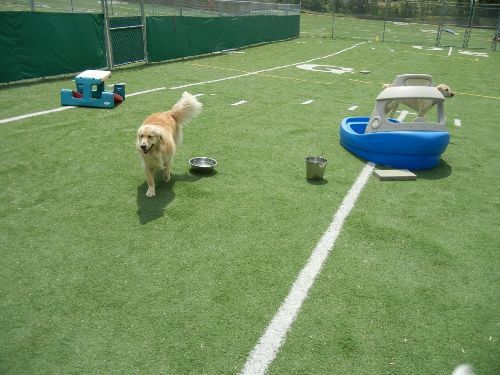 Camp Wagging Tails is a great facility for doggie daycare and boarding. I have been a customer for over three years. The entire staff is amazing and I can't praise the reception staff enough for the care and quality that I receive each and every time I walk in. Thank you very much for taking such great care of our lil' Roxi for her very first "camping" experience over labor Day weekend. Her actions are currently speaking louder than her words... She is spread out on the couch sleeping with a smile on her face! Your gracious and accommodating staff made it easier for us to release our lil' girl into your caring hands. It will probably never be without anxiety for her parents, but it is is clear, she will be comfortable in her home away from home. We will be back! Probably on a weekly basis, so Roxi can rejoin her new found friends of both the four-legged and two-legged variety! Thank you Camp Wagging Tails Staff!!! As usual you took amazing care of Athena and Ares for the entire week. They were happy and tired from their fun filled week with you. I would not trust anyone else with their care. Thanks again! I wanted to let you know about Zoey's positive reaction to the massage. When she is in the car she has always paced frantically until we get to our destination. Today, after the massage she got in sat down by a window and watched the scenery. About 10 minutes later she went to the opposite side and sat by that window for the rest of the ride. I have never seen her so calm in the car. Later at my house where she is extremely protective a contractor came over to give us an estimate. She saw him and proceed to bark threateningly and came to where we were. I told her no it was ok and she went and laid down. That has never happened before. I usually have to put her in a room where she cannot see the people until they leave. I have to admit I was skeptical but now I am a true believer in the power of pet massage.